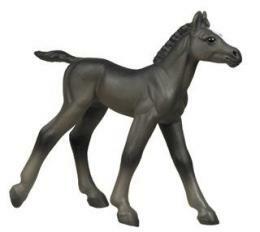 Horse Figurine Thoroughbred Stallion Country Artist is made of cast stone, is expertly hand painted and measures 6"H x 8"L x 2"W at Animal World®. Horse statue features a brown thoroughbred stallion regally standing on grass. The ideal present for your horse lover or Country Artist collector! Shop our Horse Horse Gifts Store at Animal World® page for additional horse gift items.